Get help changing bad behaviors using your iPhone and Apple Watch! Have you tried to change behaviours and struggled? Well this app may be just what you need! 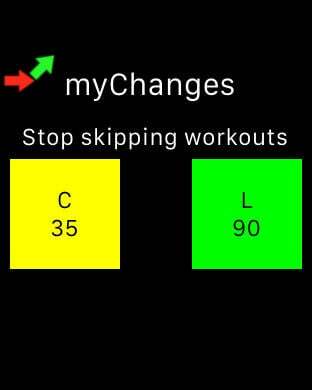 This app helps you make changes by identifying a behavior you want to stop. Every time you do this behavior you log the date in this app. The app keeps track of the longest number of days you didn't do the behavior and the number of days since you last did it. These serve as motivation to change your behavior. 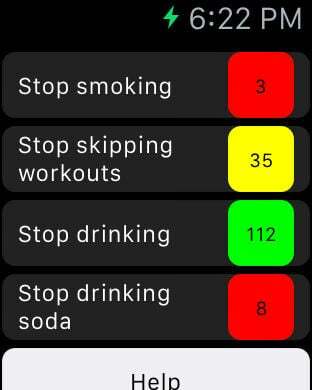 \n\nYou can track up to four behaviors with this app.\n\nThis app works with the Apple Watch. You can get the Apple Watch app from the Apple Watch App Store. - Identify up to eight behaviours you want to change. - Tracks current number of days you haven't done the behaviour. - Tracks the longest number of days you haven't done the behaviour. - Set targets for each behaviour. 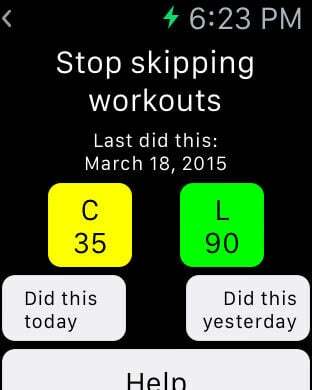 - Monitor progress on your Apple Watch. - Update the date you last did a behaviour on your Apple Watch.